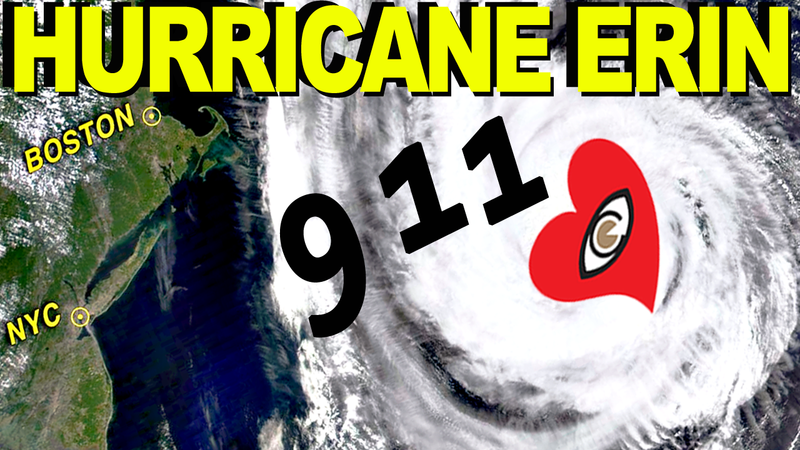 ✅ HURRICANE ERIN | Category 3 Hurricane That Should Have Prevented 9/11 From Happening – What's Up In The Sky? Attitude of Gratitude: http://www.AzimuthalEquidistant.org “..given the time of year, and given the recent hurricane harvey, and now the impending hurricane irma, our thoughts are with all our Brother and Sister souls in the areas affected. History has now officially/publicly proven ‘Man’s’ interest and success in the modification of OUR GOD/ONE Given Weather, i.e. MOTHER NATURE.